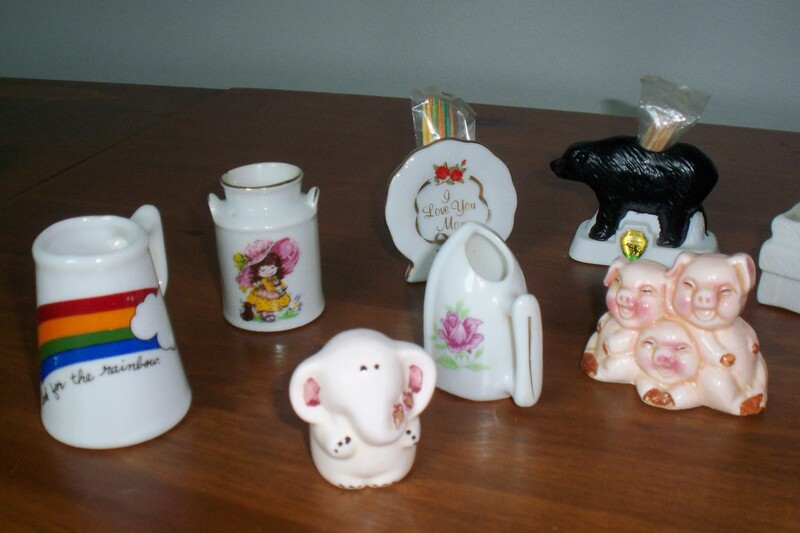 Discovered in the corner of a large walk-in closet: A collection of toothpick holders! 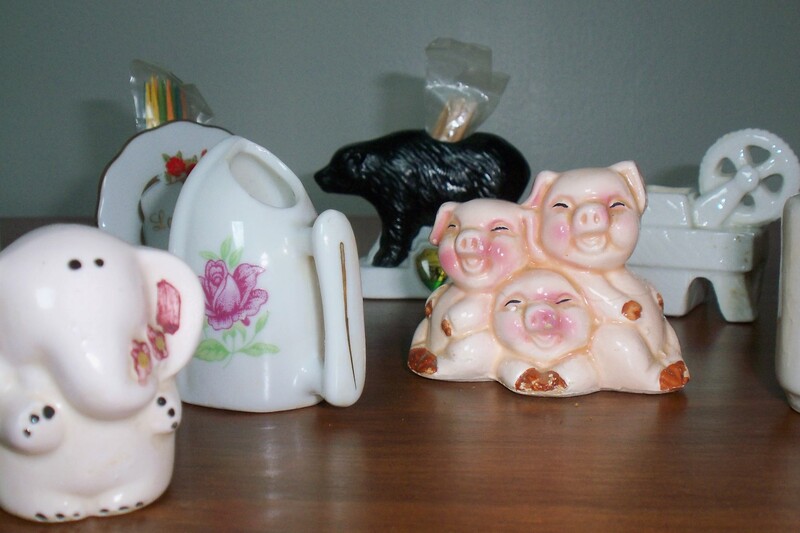 It was the “3 pigs” that caught my eye, which brought back memories of “trolls”, “mini-dragons” and doll house furniture. 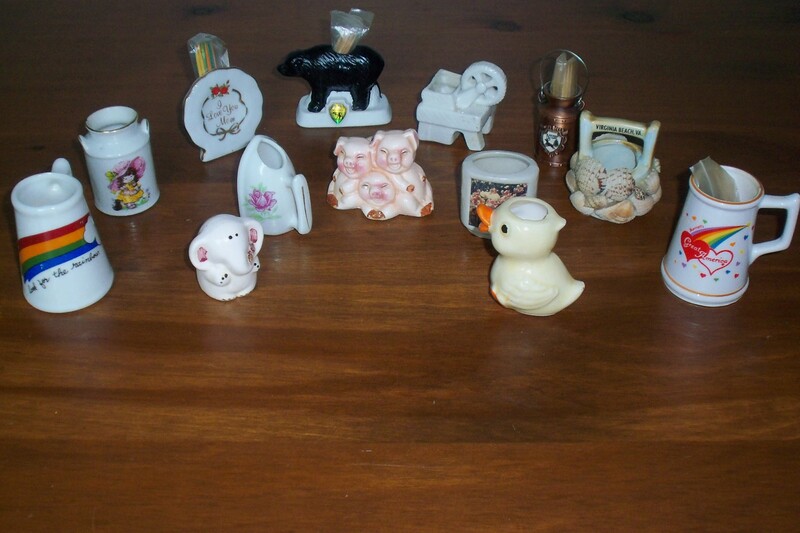 Personally, I have collected thimbles, magnets, tack pins and silver charms. 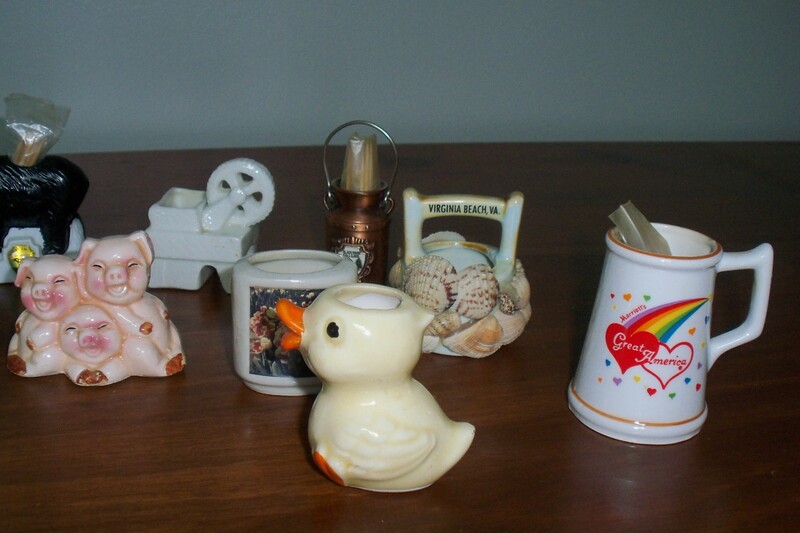 I have been in many souvenir shops over the years. I don’t remember seeing toothpick holders sold as souvenirs. 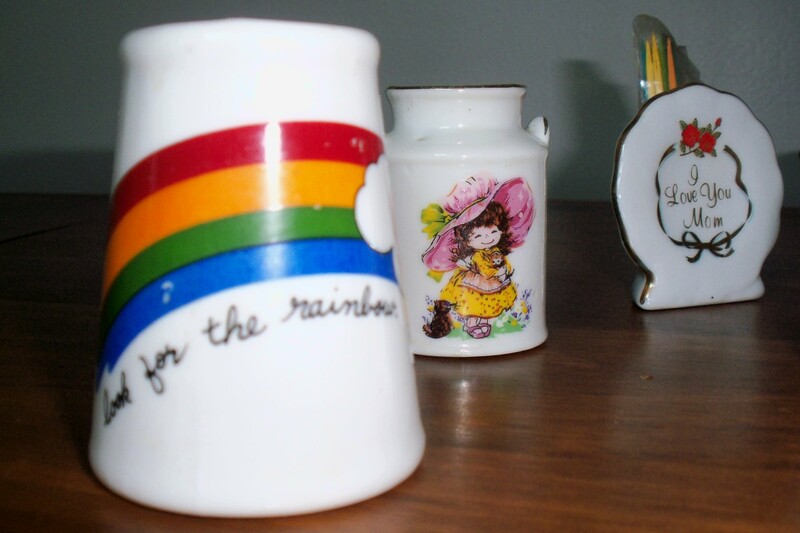 Salt and pepper shakers…definitely. 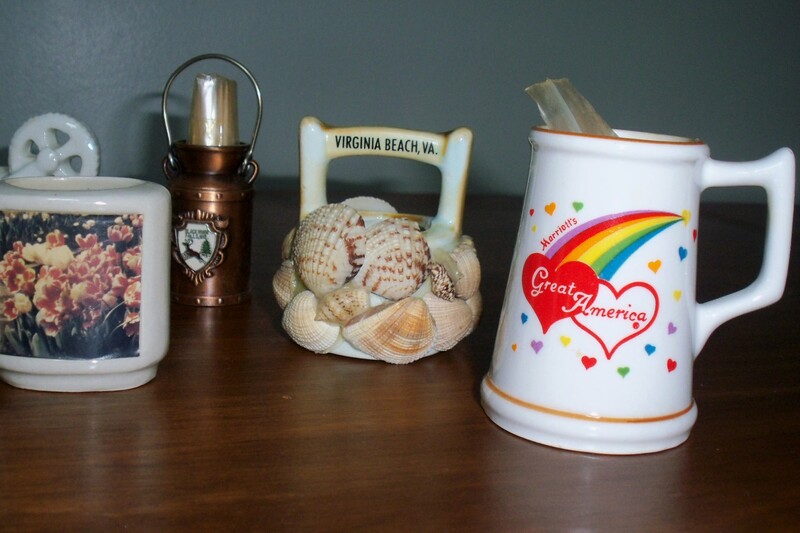 This collection charmed me with remembrances from the Smokey Mountains, Virginia Beach, Black River Falls Wisconsin and a Marriott. I wonder, how long it has been since Marriott sold souvenir toothpick holders?